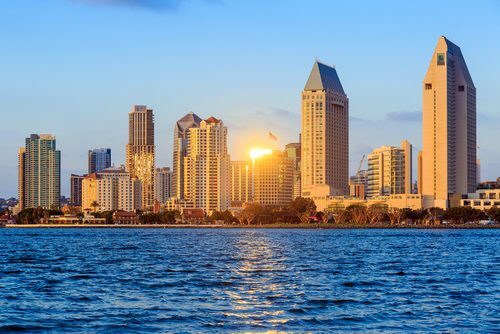 The Clean Coalition is excited to be partnering with the City of San Diego on the City’s Solar Energy Innovation Network (SD SEIN) Initiative, which is exploring new ways solar energy can improve the affordability, reliability, and resilience of the nation’s electric grid. 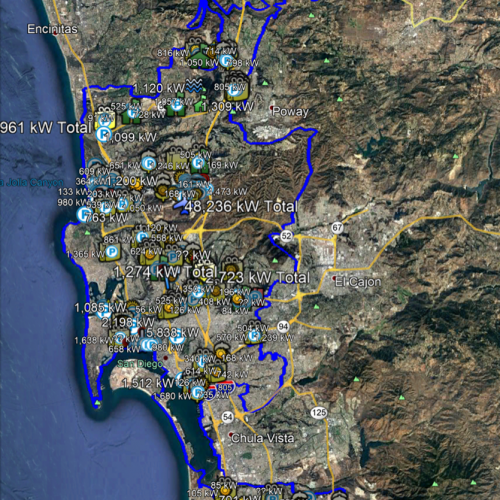 The primary goal of the SD SEIN Initiative is to analyze the distributed solar potential in San Diego — to assess the potential costs and benefits of local renewables to the City and its residents. Local renewables are defined as being interconnected on the distribution grid within the City boundaries. 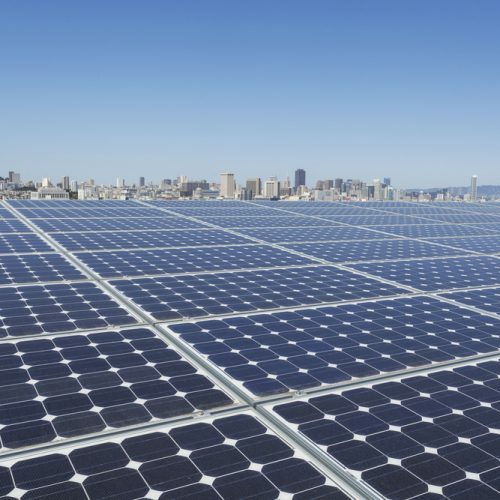 Specifically, the work performed under SEIN will determine solar deployment potential on municipal property and city-wide, gleaning lessons learned from past experiences with municipal solar, and developing solar and storage request-for-proposal templates that support municipal procurement of technology to improve city energy resiliency. 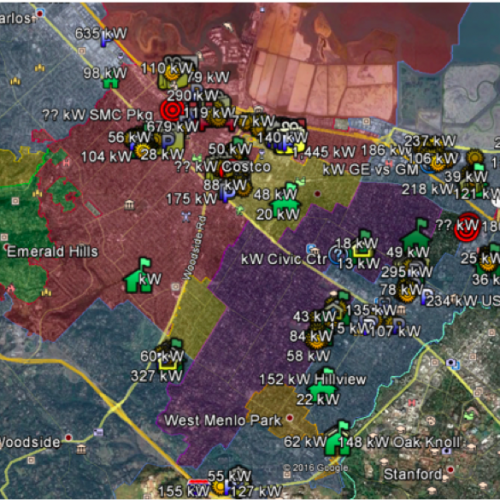 Evaluate policy and programs that will accelerate achievement of the maximum local renewables goals deployment, along with renewables-driven resilience across substation-level grid areas, enabled by Community Microgrids. Begin with behind-the-meter (BTM) solutions that are achievable without policy and program innovations, and without utility facilitation or the establishment of an alternate load-serving entity (LSE). Over-weight benefits to communities of concern (COC). 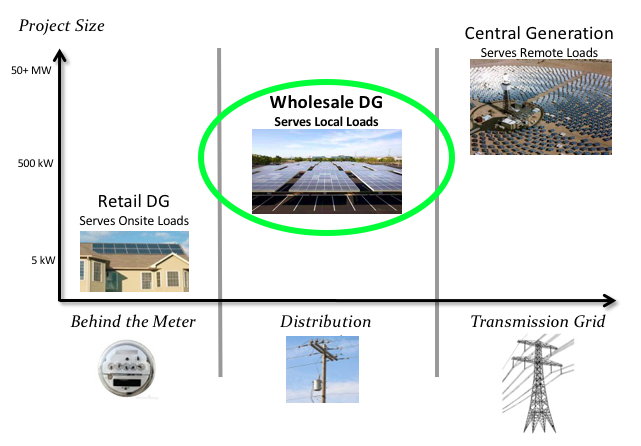 Wholesale distributed generation, or WDG, refers to distributed energy generation systems, often commercial-scale solar projects, that connect to the distribution grid and sell the electricity they produce to the local utility to serve local energy demand. Rather than serving one customer, these systems can serve an entire community, while avoiding the expensive, inefficient transmission lines required by remote power generation. WDG is the market segment that catapulted Germany to its position as a global solar leader — with far less sunshine than San Diego. Significantly, Germany’s solar deployments are almost entirely sub-2 megawatt projects in built environments, interconnected to the distribution grid. In unleashing the WDG market segment, Germany drove down the cost of WDG solar dramatically. 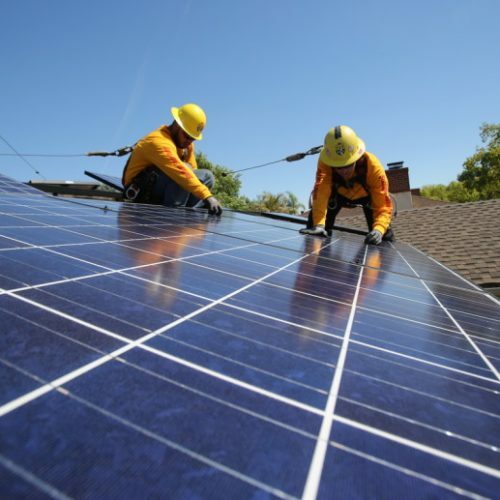 Today, with a properly designed Feed-In Tariff (FIT), San Diego could procure local solar energy at a very affordable 4-6 cents per kilowatt-hour. Transmission Access Charges (TAC) represent a large and growing portion of electricity rates, as illustrated in the following table showing TAC rate projections for San Diego Gas & Electric (SDG&E). Values shown are in $/MWh, with an annual projected increase of 5% (in 2018 constant $). 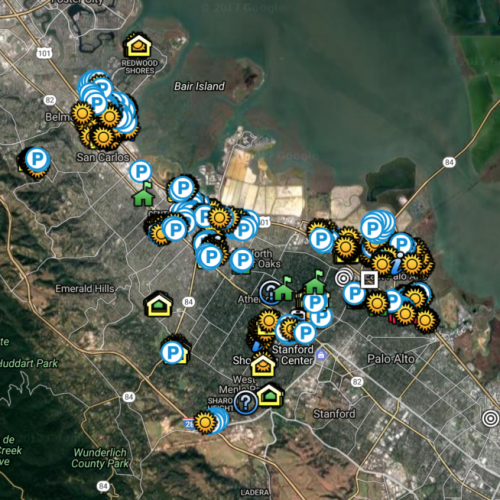 Survey the City’s solar potential. 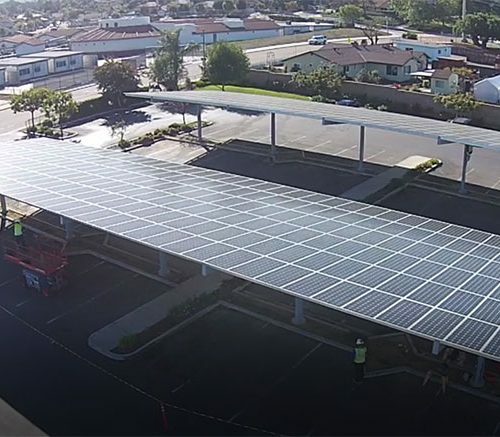 Because solar siting opportunities in San Diego will predominantly be on built environments like rooftops, parking lots, and parking structures, the Clean Coalition conducted a Solar Siting Survey (SSS) to identify those sites in San Diego; see details below. 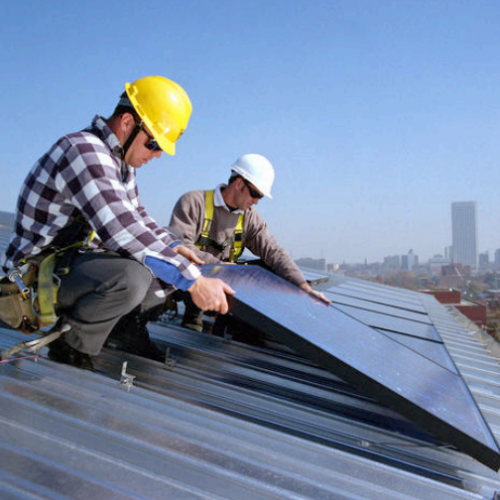 Create a Guidance and Policy Package for a Feed-In-Tariff (FIT) Program. The Clean Coalition designed a state-of-the-art FIT for the City. To set the stage for achieving 100% renewables in San Diego by 2035, the Clean Coalition conducted conducted a Solar Siting Survey. The Clean Coalition’s unique Solar Siting Survey methodology identifies viable solar siting opportunities across urban environments and evaluates those opportunities based on the interconnection potential of the local grid for each site. 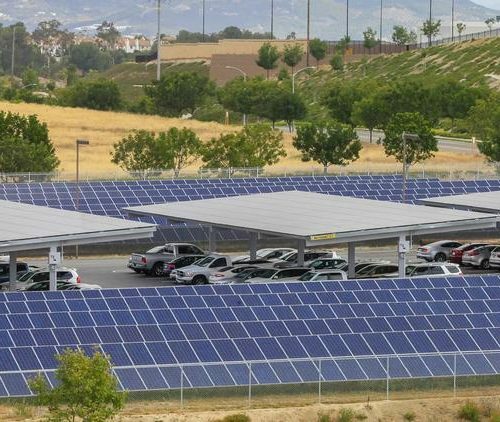 The San Diego Solar Siting Survey identified approximately 500 megawatts (MWac) of technical solar siting potential for large commercial-scale solar on built environments within the City, with 75% of that on parking lots and parking structures. The survey identified over 120 prospective solar sites that could host solar PV systems of at least 1 MWac. 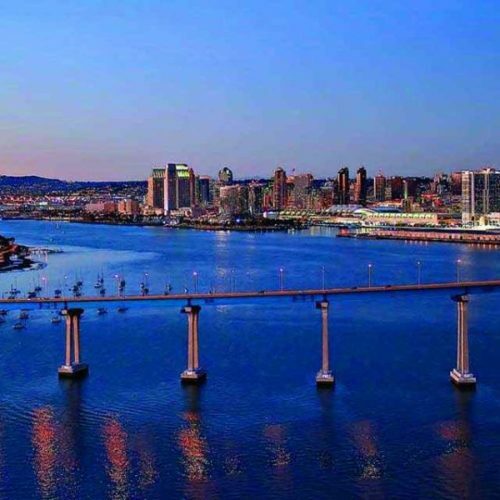 The Clean Coalition designed a FIT with streamlined interconnection for San Diego, which is currently in draft form and is being reviewed by the City. The design for the FIT recommends the use of Market Responsive Pricing (MRP), which allows the price paid under the FIT for both solar and storage to adjust based on market response; this ensures that the load-serving entity pays the optimal price for clean local energy. Market Responsive Pricing is critical to successful procurement under the FIT. San Diego’s Climate Action Plan calls for bold vision, ambitious leadership, and innovative partnerships to turn the challenges ahead into opportunities to create a better future for all. Our partnership with the Clean Coalition will help us create economic and resilience opportunities for our community while moving us to cleaner, more affordable energy. 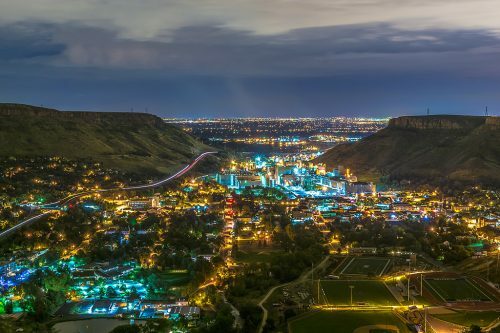 The Clean Coalition’s Executive Director, Craig Lewis, presented at this event on December 3-5, 2018 in Golden, Colorado.